Starting at age 13, potential coaches may participate in a Pre-CIT program at their club. The Pre-CIT program is a concept originally offered by GCG and is now individually developed and delivered within Member Clubs to give younger coaches the opportunity to gain experience prior to attending their first NCCP Foundations Courses. Thirteen year old Pre-CITs should complete the program over two full training years, but can complete it one year if that is how their club chooses to deliver the program. 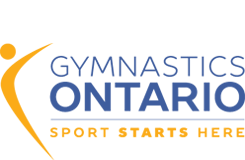 Coaches must be a minimum of 15 years of age by the start date of their first Gymnastics Foundations course (no exceptions). Part 1-Year 1: complete five hours of tutorials (covering 10 topic areas) and assist in the gym for 10 hours. Part 2-Year 2: complete an additional 10 hours of tasks related to coaching, officiating and administration. A Pre-CIT may only assist a certified coach (minimum Gymnastics Foundations certified, Level 2 technical is highly recommended) under one-on-one direct supervision (one certified coach can supervise one Pre-CIT at one time). A Pre-CIT must NEVER be given sole responsibility for a group of children.